You might seem skeptical but trust me this the ultimate oatmeal raisin cookie or that it is out of your reach, think again. 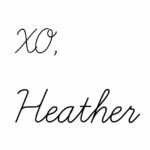 I have a perfect recipe for you that is a cinch to throw together because it uses melted butter. You can use quick oats or old fashioned- whichever you have on hand so you have ultimate oatmeal raisin cookies that rival your local bakery. 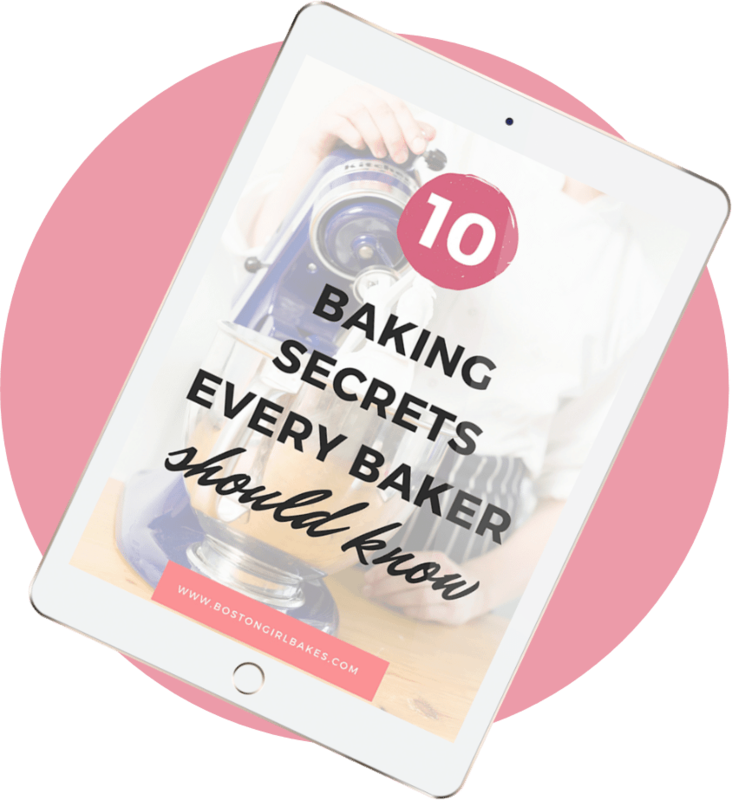 A lot of time, I hear that one of the main reasons you don’t bake from scratch is because you can’t seem to get the right texture and taste that is the same as your local bakery. So why bother, right? I don’t believe that you need a culinary degree or own a bakery to have perfect cookies. No way. 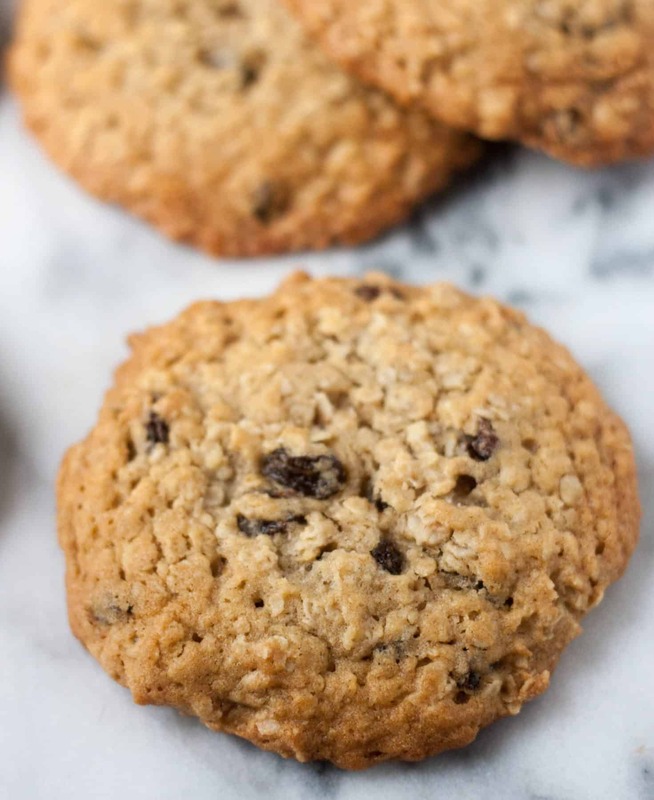 So if you have attempted homemade oatmeal raisin cookies in the past to find that lackluster, I promise you these cookies will change your mind. 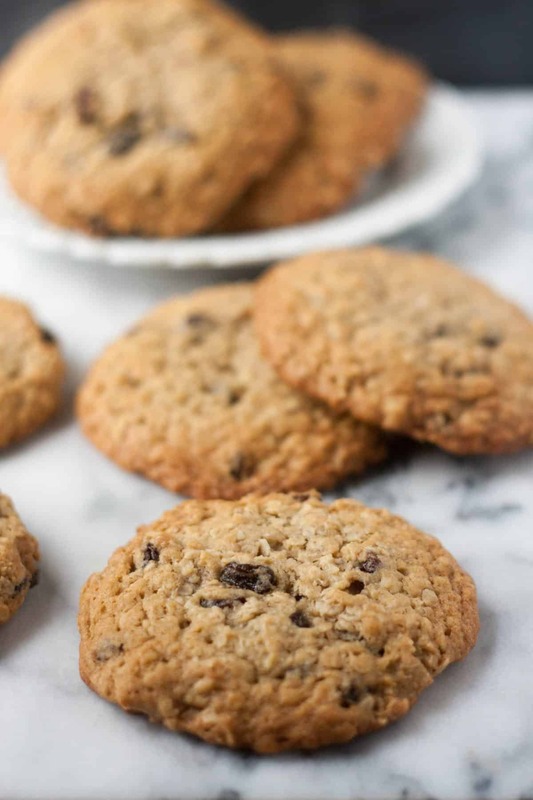 These oatmeal raisin cookies are big, soft, and perfectly chewy on the inside. Basically everything you crave in an oatmeal raisin cookie. It took me several attempts to get the texture of these cookies just right. But after about 4 batches, I finally got that soft, chewy texture I was going for. This cookie starts with measuring out your dry ingredients- flour, baking soda, salt, and cinnamon. Be sure to measure your flour correctly, so the texture comes out right. 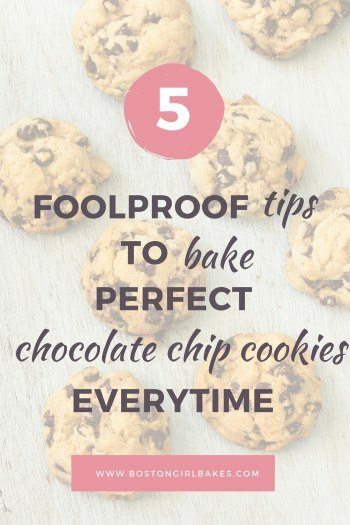 If you over measure your flour, it can result in a cakier cookie. So it’s super important to be accurate during this step. 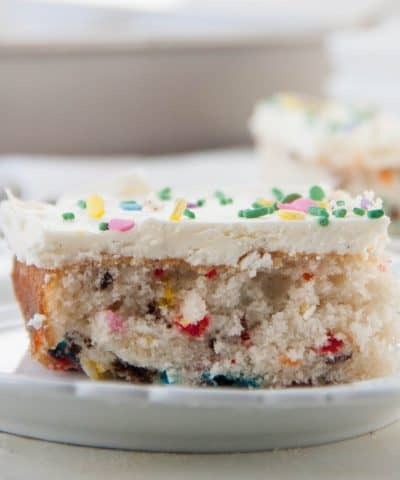 Now, simply whisk your dry ingredients together and set aside! For the chewiness of these cookies, I found melted butter worked wonderfully. First of all, it’s so much easier than using softened butter. Softened butter can be a pain to wait around for and you don’t always get the results you want because your butter may have been too soft (or not soft enough when you started). 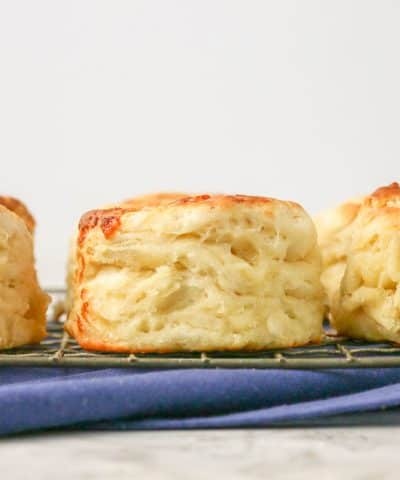 I tried this recipe with both softened butter and melted butter and I found the texture to be spot on with melted butter. Simply, whisk your melted butter with your sugars. You can make these in your stand mixer with your paddle attachment or just a mixing bowl and whisk. I used a higher ratio of brown sugar than white sugar in these cookies as well to add to the chewy factor in these. Now to that mixture you want to add room temperature eggs and pure vanilla extract. Now time to add your dry ingredients! Simply whisk or mix these in, but just be sure to not over mix. I like to leave a few streaks of flour in my bowl and finish stirring by hand. This ensures I do not over mix, especially if I am using my stand mixer which can easily over mix for me. Obviously these are becoming oatmeal raisin cookies. So we need some oats and some raisins. I made these using both old fashioned and quick oats. Both were great. I preferred the heartier texture of the old fashioned, but if quick oats is all you have use those. They still came out great. And of course throw in those raisins. 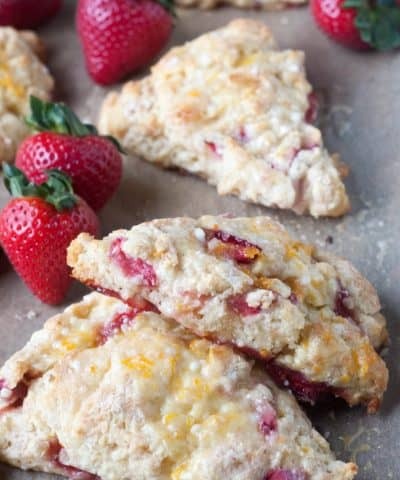 But you could easily switch this recipe up and use chocolate chips, dried cranberries or other fruit, or whatever you heart desires. Make them your own. 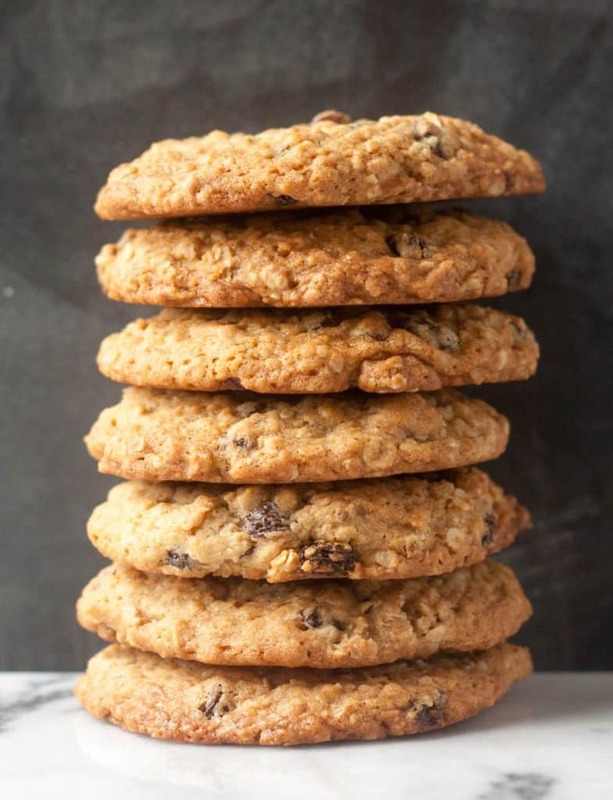 Here is the key step to making these bakery style oatmeal raisin cookies. You need to chill the dough. It’s crucial. Let me show what the difference between not chilling (cookie on the left below) and chilling the dough (cookie on the right). Big difference don’t you think? Chilling allows the butter to firm up, so they will spread less and intensifies the flavors of everything. It’s a game changer. I chilled my cookies for 24 hours for the perfect cookie. Use a big cookie scoop for these if you want those classic big bakery style cookies. 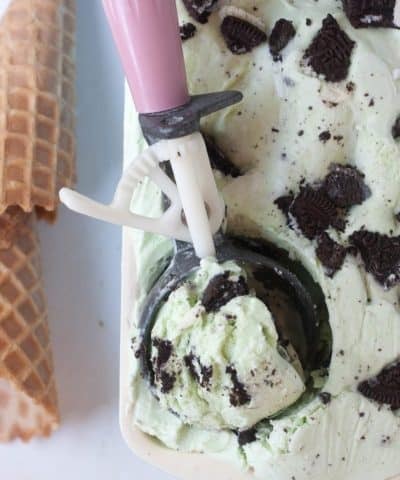 I used my ice-cream scoop to accomplish this. Then flatten them a bit with your hand. And then chill. 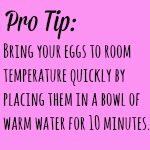 You could also freeze them at this point if you want. 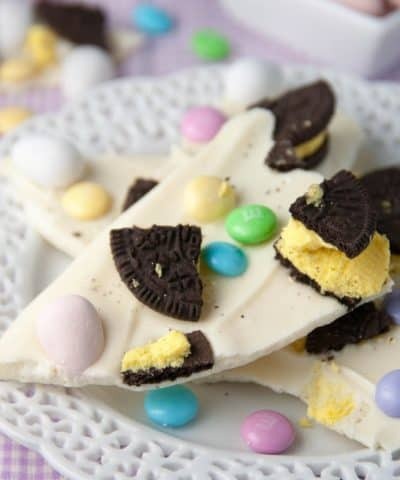 Simply pop your cookie sheet, lined with parchment paper, into the freezer, and freeze until they are solid. Then pop them into a zip-loc bag! 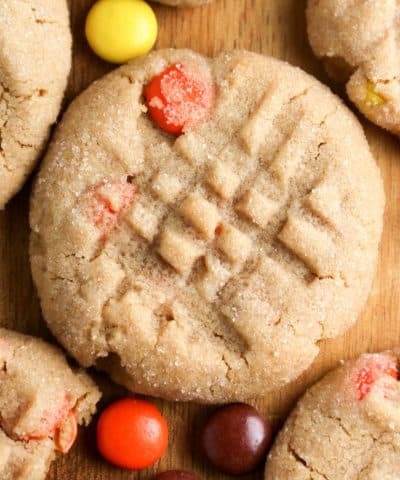 When you are ready to bake them, just add a few minutes of bake time onto your cookies. No need to thaw. So you can fresh, hot bakery style cookies whenever the craving calls. So if you think bakery style oatmeal raisin cookies are out of your reach, think again. These cookies are going to make you feel like a baking rock star. 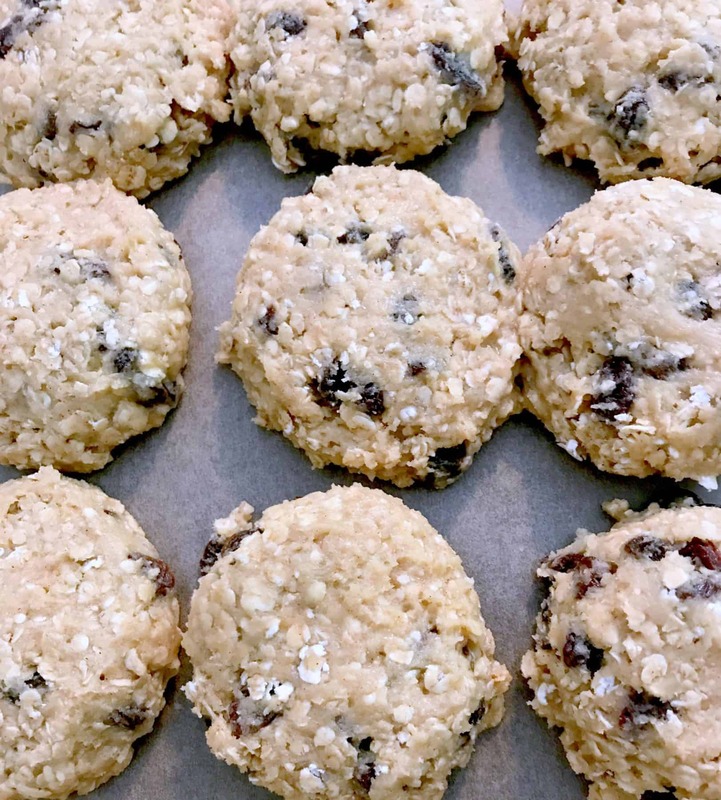 If you like this ultimate oatmeal raisin recipe, would you do me a favor and share them on Pinterest. And let me know you like them by leaving me a comment. I love hearing from you. If you do make them, snap a photo and share on Instagram with the #bostongirlbakes so I can see! 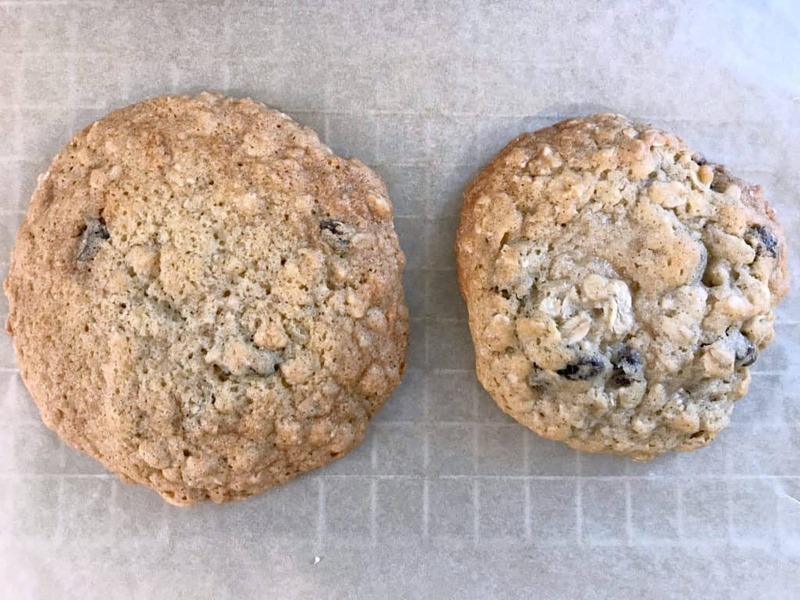 An oatmeal raisin cookie that rivals any bakery. It uses melted butter so the dough is a cinch to throw together as well. 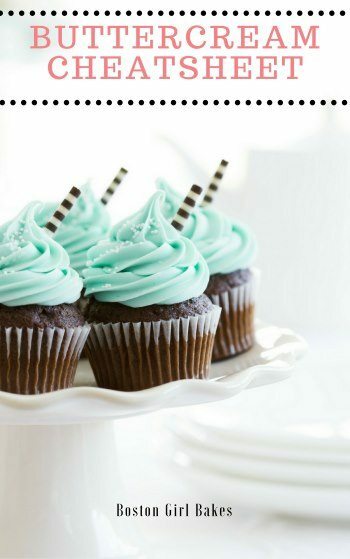 You can make them with just a whisk and a mixing bowl. 1. In a medium sized mixing bowl, combine your flour, baking soda, salt, and cinnamon. Whisk and set aside. 2. In a second bowl or your stand mixer with the paddle attachment, combine your melted butter and sugars. Stir for 2-3 minutes. Add in your eggs and vanilla. Mix to combine. 3. Add in your dry ingredients, and mix to combine. Be careful to not overmix. 4. Stir in your oats, and raisins. 5. 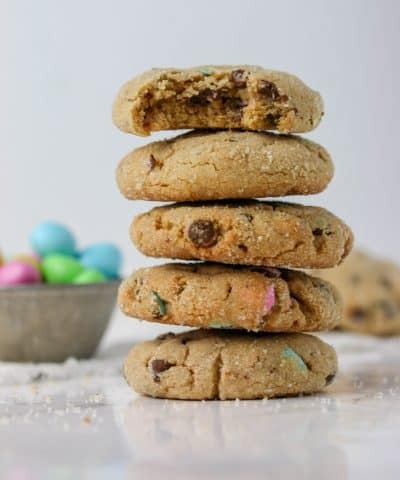 Using an ice-cream scoop, scoop your cookies on to a parchment paper lined cookie sheet and flatten with your hand until about 1/2-inch thickness. (I placed all my cookies side by side on the same cookie sheet) and chill covered with plastic wrap in your refrigerator for 24 hours. 6. When ready to bake, pre-heat your oven to 350 degrees Fahrenheit. 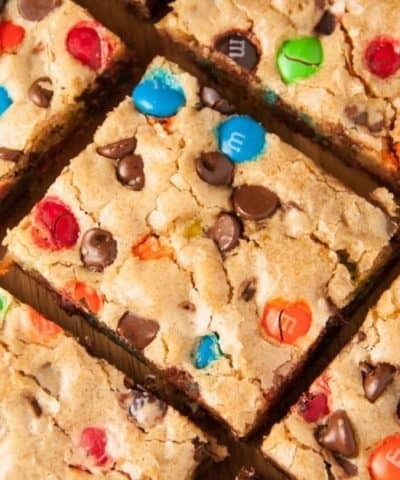 Place 6-8 (anymore and they will spread into each other) on a parchment paper lined cookie sheet and bake on the middle rack for 18-20 minutes. 7. Remove from the cookie sheet and allow to cool on a cooling rack. * You can freeze these cookies before baking. Just add a few minutes of baking time. Do not thaw. 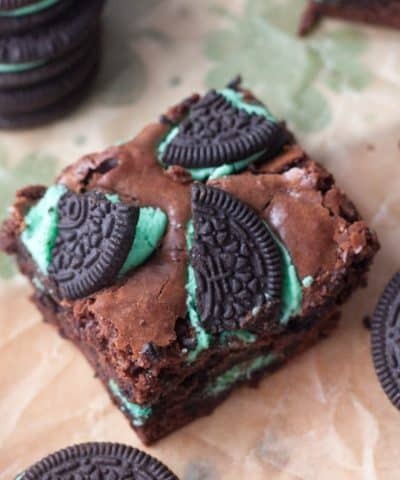 Mmm, will be making these for sure. Love the fact you can use melted butter in these cookies. Cathleen I hear ya! 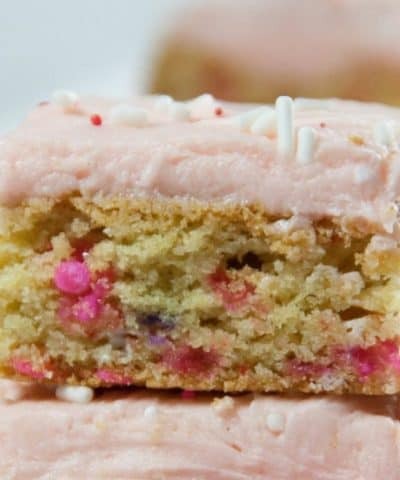 I never think to make them, but my boyfriend and best friend LOVE them…so how could I not have a recipe for them? And they definitely benefited from all my recipe testing… I prefer chocolate chips if I’m being honest, but they loved the traditional oatmeal cookies. I was shocked how many people gobbled these up- simple is best isn’t it?